Objective The 10 m modified shuttle walking test (MSWT) is recommended to determine the functional capacity in older individuals and for patients entering cardiac rehabilitation. Participants are required to negotiate around cones set 1 m from the end markers. However, consistent comments indicate that for some individuals manoeuvring around the cones can be quite difficult. Therefore, the objective of this study was to explore differences within and between non-cardiac and postmyocardial infarction (MI) males during MSWT with and without the cones. Participants 20 post-MI (64.8±6.6, range 51–74 years) and 20 non-cardiac male controls (64.1±5.7, range 52–74 years) participated. Methods Participants performed MSWT with and without cones. Throughout, the participants expired air, and the heart rate (bpm) (HR) and ratings of perceived exertion (RPE) were measured. Participant protocol preference was recorded verbatim. Results One-way analysis of variance found no significant difference in VO2 peak (cones 20.4±5.1 vs no-cones 21.9±4.8 ml/kg/min, p=0.197) or distance ambulated (cones 631.8±132.9 m vs no-cones 662.4±164.1 m, p=0.371) between protocols or groups. Analysis comparing lines of regression showed a significant trajectory difference in VO2 (ml/kg/min) (p<0.01) between protocols with higher HR (p<0.01) and respiratory exchange ratio (RER, p<0.001) values during cones. 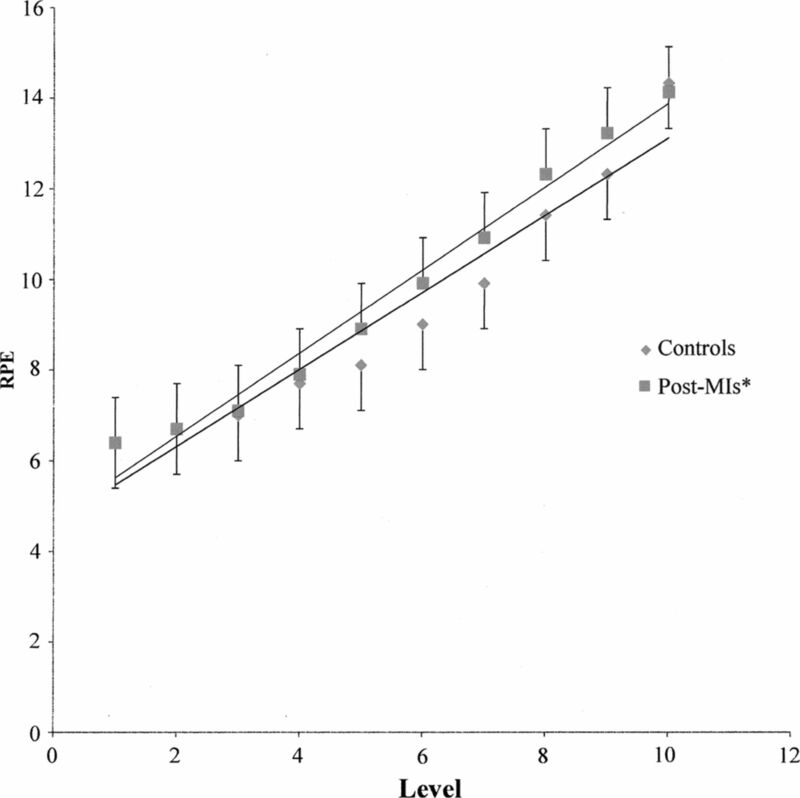 RPEs were higher for post-MIs versus controls during both protocols (p<0.05). Post-MIs taking β-blockers produce significantly lower HR values. The χ2 analysis found no significant difference in protocol preference (no-cones: all n=25, 63%; post-MIs n=13, 65%; and controls n=12, 60%). Conclusions Post-MIs found both protocols subjectively harder than controls with no significant difference in the VO2 peak. However, both groups worked at a lesser percentage of their anaerobic threshold during no-cones protocol as indicated by lower RER values. Importantly, for the post-MIs, this would reduce their risk of functional impairment. Therefore, though more research is required, indicators at present are more favourable for the use of the no-cones with post-MIs. The aim of the study was to explore whether removing the cones at each end of the 10 m modified shuttle walking test (MSWT) course resulted in any difference in participant performance and/or preference. Since MSWT is used on older and cardiac populations, the aim was also to see how these factors might differ between- and within-groups of male post-myocardial infarction patients and non-cardiac controls. Post-myocardial infarctions (MIs) found both protocols subjectively harder than the non-cardiac male controls by reporting higher ratings of perceived exertion values. Irrespective of group, participants worked at a lower percentage of their anaerobic threshold (AT) during the no-cones protocol with no significant effect on the VO2 peak. Most significantly, for post-MIs, since there was no significant difference in the VO2 peak between the protocols and AT was reached at a later stage during the no-cones protocol, this would be of benefit to the post-MIs by reducing their risk of any functional impairment without altering the overall end result of the test. Although there have been some interesting findings from this study, further research is still required before the no-cones protocol can be reliably employed. The rationale for this present study emerged from consistent anecdotal comments made by CR patients about difficulty manoeuvring around the cones at each end of the MSWT 10 m course (see figure 1). This consistent comment led researchers to formally explore whether MSWT might be better performed with the removal of these cones and simply using tape on the floor to denote the distances to be achieved.16 Therefore, the aim was to conduct a simple study exploring comparisons between and within cardiac and non-cardiac participants during MSWT, with and without the cones, in order to determine whether participants better performed and/or preferred this alternative protocol. Layout of the modified shuttle walking test. Ethical approval for the study was provided by The Faculty of Social and Applied Science Research Ethics Committee at Canterbury Christ Church University, reference 10/SAS/045. Post-myocardial infarction (MI) males were recruited through the local community phase IV CR exercise classes. The non-cardiac volunteers were recruited from the Medway area, UK, through word of mouth and posters placed within the University of Kent at Medway. All volunteers were given a Participant Information Sheet and interested individuals were asked to complete a Health and Physical Activity (PA) Screening Questionnaire. The post-MIs were required to be ‘uncomplicated’ and stable, be at phase IV level and be taking standard medications (such as statin, β-blocker, aspirin and ACE inhibitor). Potential controls were to be free of any cardiac disease and/or event or have a chronic medical condition and/or taking long-term medications. All participants were required to be non-smoking, understand the nature of the study, aged between 50–75 years, be of similar PA level and free of any orthopaedic limitations during exercise. Participants that cleared the screening process were required to provide written informed consent and have written acknowledgement of their participation from their General Practitioner. Participants were free to withdraw from the study at any time without providing a reason. Prior to each test, including familiarisation, each participant was seated and completed a Pretest Screening Form to ensure that on each testing occasion they were able and well enough to perform the test and had adhered to the pretest criteria. During the 24 h preceding assessments, participants were required not to undertake moderate to vigorous PA/exercise or consume alcohol, nor to eat and/or consume caffeine during the preceding 2 h; drinking water was permitted; where relevant, participants were instructed to take their medications as usual. Following satisfactory pretest screening, each participant was first measured for height and body mass using a stadiometer (Seca 220, Hamburg, Germany) and clinical scales (Seca 710, Hamburg, Germany), respectively. The participant then sat for 5 min and was measured for pre-exercise resting blood pressure (BP), using a stethoscope and sphygmomanometer (Yamasu Mercurial Sphygmomanometer 605P, Kenzmedico Co. Ltd, Japan), and heart rate (HR) using a Polar S810 HR monitor (Polar Electro Oy, Kempele, Finland). If no additional or acute physiological abnormalities were detected, participants proceeded to either MSWT protocol. Prior to each test, each participant was fitted with a face mask covering the nose and mouth (Hans Rudolph, Germany) connected to a portable gas analyser (Cosmed K4b2, Roma, Italy) to measure and record expired air parameters during the test. The MSWT environment was well lit and ventilated, with a non-slippery flat floor. The 10 m course was marked out on the floor using masking tape and orange cones (for the cones, protocol only) (figure 1 and table 1). During both MSWT protocols, participants were externally paced by prerecorded bleeps emitted as an audible signal played from a CD player. The timing of the bleeps indicate walking pace and participants were required to reach the 1 m mark at the end of the 10 m course in time to each bleep. The test started with a slower speed and fewer shuttles. The starting pace was 0.5 m/s and each level was 1 min. After each minute, the speed increased by 0.17 m/s, indicated by a treble bleep resulting in an increase in the number of shuttles per minute (table 1). At the end of each level, an enlarged A3 6–20 rating of perceived exertion (RPE) scale18 was shown to each participant to gain their subjective feelings of exertion. The test was terminated if patients felt too breathless and/or fatigued to continue, showed signs of physical injury and/or distress (as indicated by measures of HR, respiratory exchange ratio (RER) and RPE) and/or no longer wished to continue or failed to reach within 1 m of the end marker on two consecutive occasions. Verbal indication was given by the researcher if the participant had not reached the 9 m marker on time, providing the participant an opportunity to catch up. Once the test was completed, the total distance walked and end RPE were recorded. After removal of the mask and portable VO2 analyser, while HR was still being monitored, participants performed a 10 min walking cool-down to reduce the risk of an adverse event. Post-exercise HR and BP were measured before participants left the test environment to ensure that these returned to pre-exercise levels. At this point and after the final MSWT test, each participant was asked which of the two protocols they preferred and to provide a short reason why. Responses were recorded verbatim. Statistical analysis was carried out using the Minitab statistical package (V.16), with a 5% level of significance and variability within a distribution of 1 SD (mean±SD). Greater VO2 peak measures are strongly linked to reduced mortality and morbidity,19 and in the prognosis of cardiac patients.20 Therefore, participant numbers at 5% α and 90% power were based on a mean difference in the VO2 peak of 2.5±3.0(ml/kg/min) between protocols, which required n=17 participants to perform each protocol. To account for attrition, n=20 participants were recruited to each group. Therefore, any significant difference between protocols in this factor was important in determining the tests’ ability to predict future health status. Inter- and intra-group differences were compared by one-way analysis of variance. Analysis comparing two lines of regression was employed to determine the difference between the two MSWT protocols and between groups in VO2 (ml/kg/min), HR (bpm), RER and RPE. Pearson's Product Moment correlation and multiple regression analyses were employed to determine relationships between factors. Non-parametric alternatives were employed where data failed to be normally distributed. The χ2 test was used to compare differences in nominal data. Post-MIs and controls were matched for age and height, but post-MIs possessed significantly greater body mass (kg) and subsequent BMI than controls, with both groups within the overweight category (table 2).21 Post-MIs were tested 4.7±3.22 years post-event. Of the cardiovascular disease (CVD) risk factors, ‘family history of CVD’, high cholesterol, diabetes, hypertension and obesity, post-MIs possessed a total of n=18 and controls n=11. Analysis showed that post-MIs taking β-blockers had significantly reduced resting HR (bpm) (β-blockers n=19, 57.7±7.0 vs n=21, 70.8±14.7 bpm, F=25.04, p<0.001) and lower HR (bpm) during both protocols (see section post-MIs vs controls). Those post-MIs taking β-blockers were also taking statins, and therefore statins showed a similar statistical effect. Too few of the other medications had a statistically significant effect on any of the measured variables. The order in which the participants performed each protocol had no significant effect upon any of the measured variables. Although the mean distance during no-cones was 30 m further compared with cones, the difference was not significant (cones 631.8±132.9 vs no-cones 662.4±164.1 m, F=0.81, p=0.371). Furthermore, even though a greater number of the participants (n=25, 63%) preferred no-cones compared with cones (n=15, 37%), this too was not significantly different. Preference had no significant effect on the distance ambulated for either protocol (F=0.87, p=0.354). Typical comments given by those participants who preferred no-cones related to ease of turning and perception of not having to walk as far. Examples were: ‘Difficult to manoeuvre around cone’, ‘Don't have to walk as far and easier to turn’, ‘Not so far to go on turn; easier to just turn’, ‘Can walk straighter and it saves a foot at each end’, suggesting that some participants perceived they did not have to walk as far. The main comments from those who preferred the cones indicated that they liked having the cones as a target to aim for, and found the turning easier. Analysis also showed that body mass, height and BMI did not significantly (p>0.05) influence preference or performance. However, those who preferred the no-cones were significantly younger (cones n=15, 66.1±6.9 vs no-cones n=25, 63.4±5.4 years, F=3.94, p=0.05). The negative correlation between age and distance ambulated (R=−0.491, p<0.001) indicated that younger participants walked further, regardless of the group they were in. Not all participants achieved all levels during MSWT (table 3). A significant difference was found in the VO2 (ml/kg/min) versus MSWT-level relationship (F=10.26 p<0.01, figure 2) (level 12 excluded as too few numbers); HR (bpm) (levels 1–10) (F=7.61 p<0.01, figure 3) and RER (levels 1–10) (F=41.11, p<0.001, figure 4) versus MSWT-level relationships were consistently lower than the no-cones protocol. There were no significant differences in the RPE or VO2 peak (cones, 20.4±5.1 vs no-cones 21.9±4.8 ml/kg/min, F=1.69, p=0.197). 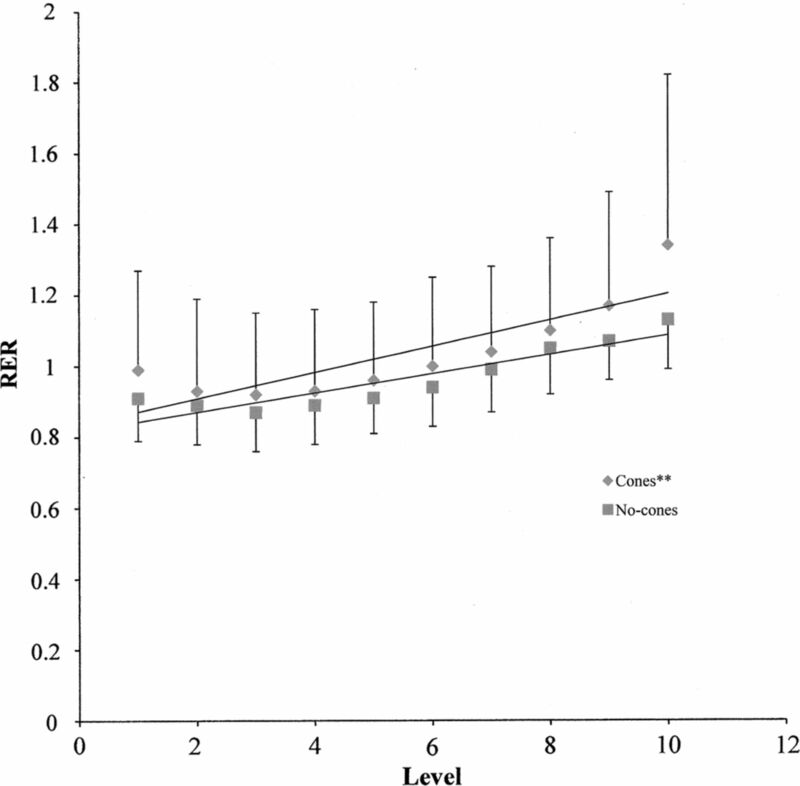 The VO2 (ml/kg/min) versus modified shuttle walking test-level relationship for the different protocol. The heart rate (bpm) versus modified shuttle walking test-level relationship for the protocols. Respiratory exchange ratio versus modified shuttle walking test-level relationship for the different protocols. Although post-MIs walked a mean of 44.4 m further during the no-cones, this was not statistically significant (cones, 613.0±114.0 vs no-cones, 657.9±167.8 m, F=0.79, p=0.380). There was no significant difference in the VO2 peak between protocols (cones, 19.3±4.9 vs no-cones, 21.1±5.0 ml/kg/min, F=1.29, p=0.264). VO2 (ml/kg/min) and RER versus MSWT-level relationship were significantly higher and lower for the no-cones (F=10.26 p<0.01; F=9.38 p=0.002, figure 5 and 6), respectively. However, HR (bpm) and RPE were not significantly different. Although 13 (65%) post-MIs preferred no-cones versus 7 (35%) cones, this was not significantly different. Not all post-MIs achieved all levels during MSWT (table 4). Post-myocardial infarctions VO2 (ml/kg/min) versus modified shuttle walking test-level relationship for the different protocols. Post-myocardial infarctions respiratory exchange ratio versus modified shuttle walking test-level relationship for the different protocols. The controls walked 15.7 m further during the no-cones compared with the cones, which was not statistically significant (cones, 651.1±120.8 vs no-cones 666.8±164.8 m, F=0.11, p=0.738). There was no significant differences in the VO2 peak (cones, 21.3±5.2 vs no-cones, 22.7±4.6 ml/kg/min, F=0.51, p=0.478), or VO2 (ml/kg/min) and RPE versus MSWT-level relationship between protocols. 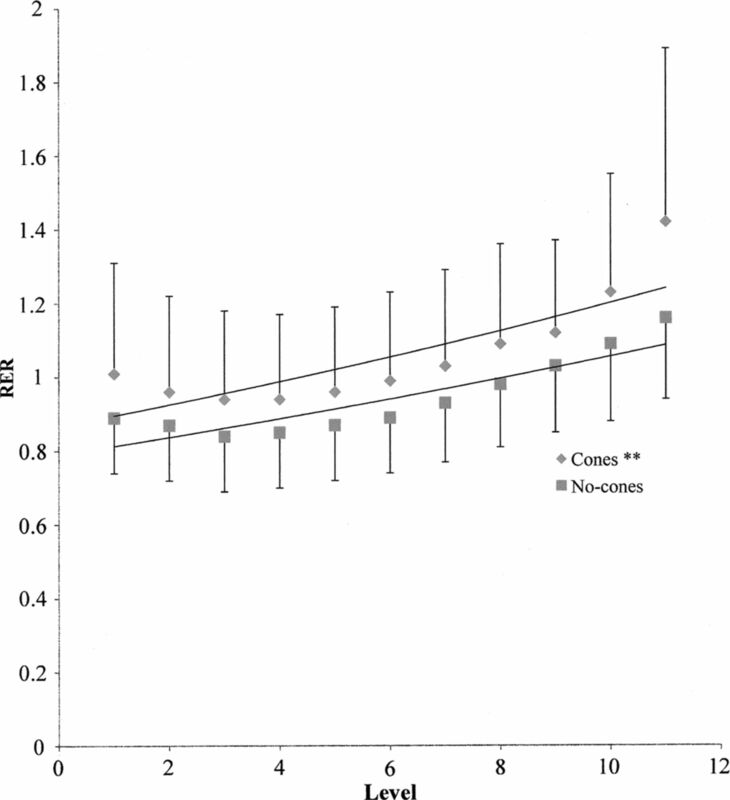 However, the HR (bpm) and RER relationships were significantly higher during the cones (F=11.34, p<0.001, figure 7; F=35.93, p<0.001, figure 8, respectively). Despite the majority of the controls preferring the no-cones (cones n=8, 40% and no-cones n=12, 60%), this again was not significantly different. Not all controls achieved all levels during MSWT (table 5). Controls heart rate (bpm) versus modified shuttle walking test-level relationship for the different protocols. 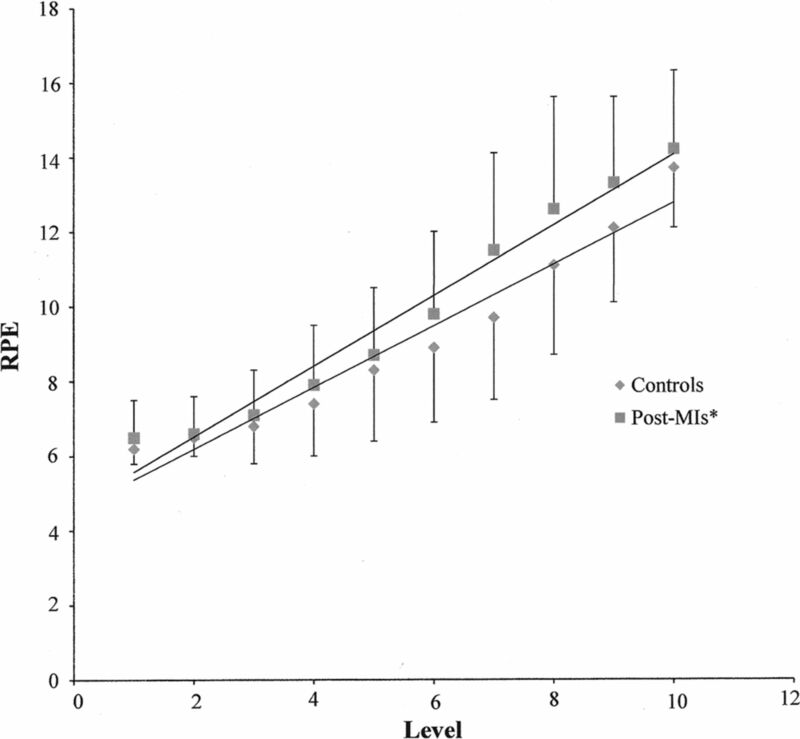 Controls respiratory exchange ratio versus modified shuttle walking test-level relationship for the different protocols. Although the controls walked a mean of 37.6 m further than post-MIs, this was not statistically significant (post-MIs, 613.5±144.0 vs controls, 651.1±120.8 m, F=0.77, p=0.385). Eight controls and seven post-MIs preferred the cones, which too was not significantly different. There was no significant difference in the VO2 (ml/kg/min) or RER versus MSWT-level relationships between groups. However, HR (bpm) was significantly lower for post-MIs (n=19 taking β-blockers) versus controls (F=72.2, p<0.001; none were taking β-blockers). 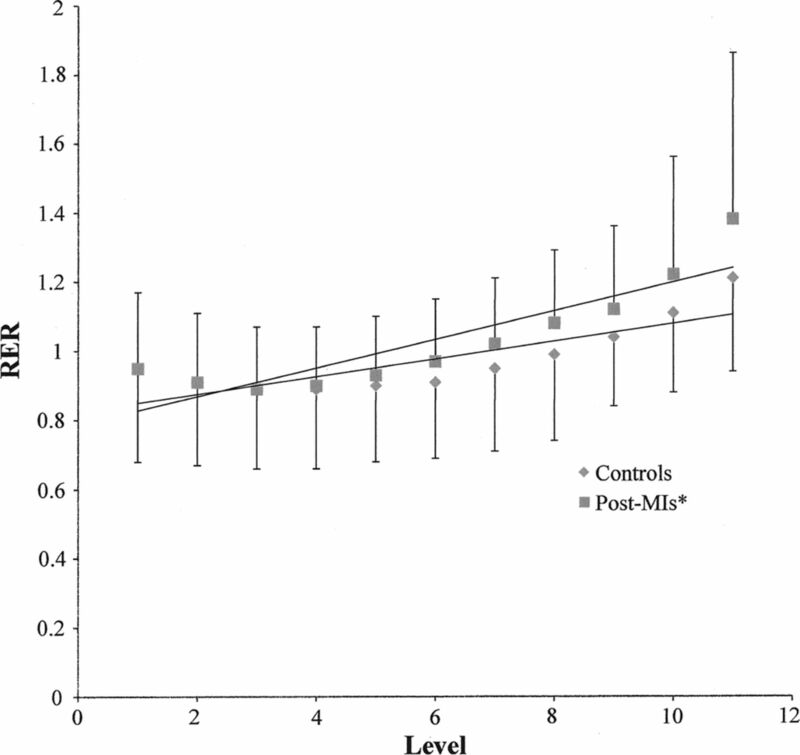 RPE versus MSWT-level relationship values were significantly higher for post-MIs versus controls (F=4.78, p=0.029, figure 9). Ratings of perceived exertion versus modified shuttle walking test-level relationship between post-myocardial infarctions and controls during the cones protocol. Controls walked a mean of 8.9 m further than post-MIs during the no cones, which was not statistically significant (post-MIs, 657.9±167.8 vs controls, 666.8±164.8 m, F=0.03, p=0.869). Twelve controls and 13 post-MIs preferred the no-cones, which too was not significantly different. There was no significant difference in the VO2 (ml/kg/min) versus MSWT-level relationship between groups. The HR (bpm) versus MSWT-level relationship was significantly lower in post-MIs versus controls (F=51.24, p<0.001) and significantly higher for RER and RPE (F=23.51 p<0.001, figure 10; F=4.78, p=0.029, figure 11, respectively). Respiratory exchange ratio versus modified shuttle walking test-level relationship between post-myocardial infarctions and controls during the no-cones protocol. Ratings of perceived exertion versus modified shuttle walking test-level relationship between post-myocardial infarctions and controls during the no-cones protocol. Extra data are available by emailing the first author. Comments collected from those participants as to why they preferred the no-cones suggested that some participants perceived they did not have to walk as far, as they did not have to manoeuvre around the cones, which they found difficult to negotiate. Those who preferred the cones generally liked the cones as a target to aim for and found the turning easier. Anthropometric factors such as height and body mass, which might be expected to have some mechanical influence, were found not to have any statistically significant effect upon preference. Analysis did, however, reveal that the younger participants, regardless of group, preferred the no-cones. These participants tended to walk further, subsequently reaching faster walking speeds. The turning technique employed in the no-cones is more representative of a ‘touch and turn’, where participants touched the end tape with their foot and turned, whereas the cones requires participants to negotiate around the end cone within the 1 m space between the tape at the end (figure 1). At higher walking speeds, the latter might make turning difficult and partly explain why the younger faster walkers preferred the no-cones. Although the majority of participants preferred the no-cones (all n=25, 63%; post-MIs n=13, 65%; controls n=12, 60%), this was not statistically significant. Retrospective secondary power analysis for nominal data showed that a majority of 68% were required to achieve statistical significance at p<0.05. Since preference percentage was not far from this figure, it is likely that this factor was underpowered and would be worth exploring further in a future study. The relationship between VO2 peak with mortality and morbidity,19 and prognosis in cardiac patients20 is an important factor in determining an individual's health status. Since there was no significant difference between the two protocols in the VO2 peak, this would suggest that the no-cones is as effective at determining health outcomes as the current cones protocol. 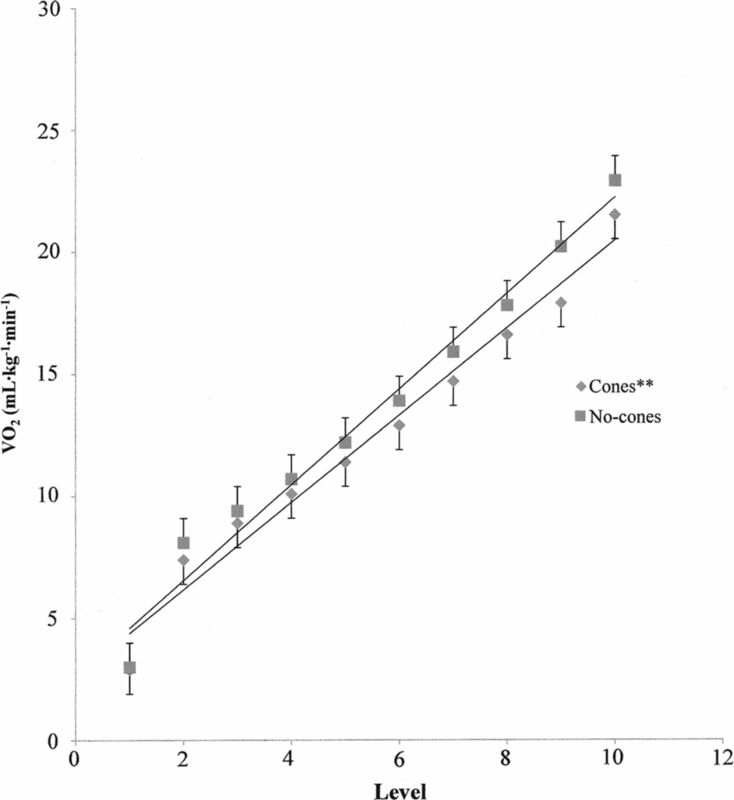 HR values (for those participants not taking β-blockers) and RER values were significantly higher during the cones, indicating that participants worked at a higher percentage of their anaerobic threshold (AT).22 Although there is debate about the best indirect marker of AT, a recent study by Solberg et al,23 looking at a range of VO2 parameters, found the marker of RER ≥ 1.0 to be a reliable indicator of AT. 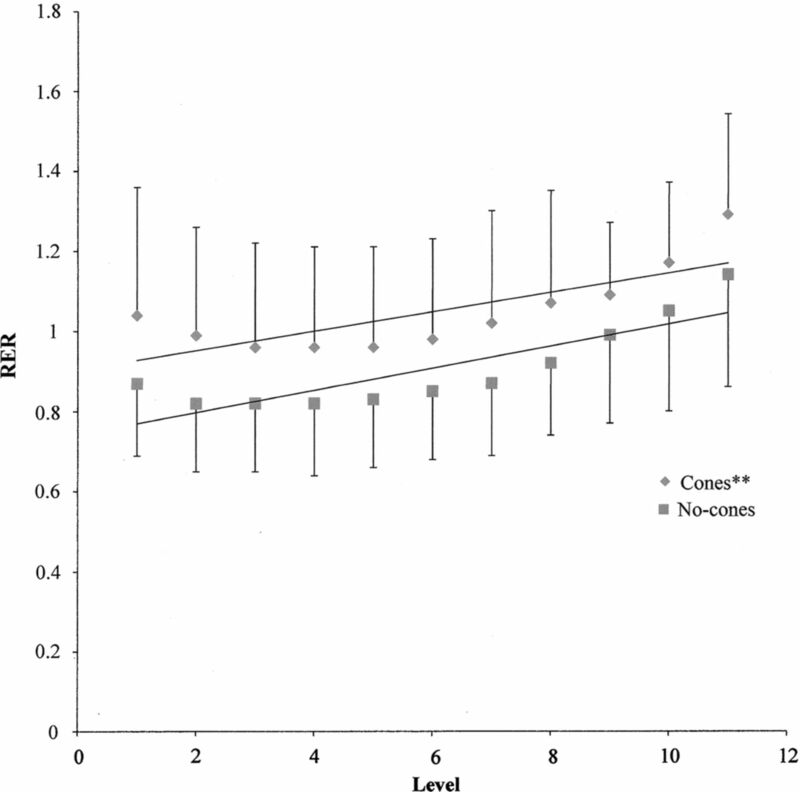 For the cones, participants reached AT (RER ≥ 1.0) at lower walking speeds. This differed between protocols by around one MSWT-level (figures 4, 6 and 8) and between groups by around 2 levels (figure 11). While this may not be too much of an issue for non-cardiac populations, for the post-MIs this is of importance. There is a potential health risk for cardiac patients working at the higher end of their AT as this can result in functional impairment and possible ischaemia.24 Therefore, in this context, keeping below AT without affecting in the VO2 peak would be beneficial for post-MIs. Interestingly, values of RPE did not differ between protocols for the post-MIs, who did report higher RPE values than controls, indicating that they found both protocols more difficult. Despite no statistically significant differences being observed in the VO2 peak between protocols or groups, there was a significant difference in the VO2 versus MSWT shuttle-level (walking speed) relationship between the protocols before the groups were differentiated. Secondary analysis revealed that this was due to the steepness of the trajectory of the lines of regression rather than the difference in the VO2 (ml/kg/min) values at each level per se. However, during the no-cones, it was the post-MIs who consistently showed a higher VO2 versus MSWT shuttle-level (walking speed) relationship, which was not seen in the controls. Interestingly, Roberts et al25 observed that during treadmill testing, healthy and coronary artery disease (CAD) patients, at any given workload below AT, produced similar VO2 values. Yet, at workloads beyond AT, CAD patients produced lower VO2 values than their healthy controls. This, however, was not observed between the post-MIs and controls of this study. HR values were significantly lower at pre-test rest and during both protocols for post-MIs compared with controls, which was most likely due to the β-blockers. Nineteen (95%) post-MIs were taking this drug, which is standard prescription post-MI.26 This drug not only alters cardiorespiratory response (slower HR) but can also slow down oxygen kinetics.27 ,28 Evidence indicates that β-blockers can reduce skeletal muscle blood flow and thus increase general fatigue.29–,32 The very same participants that took β-blockers were also taking statins, which produced a similar statistical result. High doses of statins can lead to muscle myopathy and interfere with fatty acid oxidation, producing greater oxidation of carbohydrates.33 Given that the post-MIs on statins were on relatively low doses (40 mg), it is unlikely that the statins had any such effect. However, similar depressive effects on lipolysis have been found from β-blockers.34 ,35 These factors might partly explain why post-MIs reported higher RPE values during both protocols, though there was no difference in RER or VO2 values between groups. It has been reported that β-blockers do not affect RPE in clinical groups36–,38 and do not tend to influence unless exercise is longer than 60 min and/or at an intensity higher than 65% VO2 max.30 ,31 This exercise intensity would most likely have been achieved during the latter stages of either MSWT protocol and might therefore explain the heteroscedasticity observed in RPE between groups (see figure 6). The current cones version of MSWT has been shown to correlate highly with peak VO2 during treadmill tests in a range of different cardiac11 ,39 ,40 and respiratory populations.41 In our previous work,16 a group of non-cardiac males (n=19, 64.6±7.5 years) performed both MSWT without the cones and a treadmill test of the same protocol. Here too, the limits of agreement analysis42 showed acceptability between the treadmill and no-cones MSWT in VO2 (ml/kg−1/min) (mean difference –1.1±8.8 (1.96 SD), CI 7.7 to 9.9), reflected by a strong correlation (R=0.88, R2=0.48, p<0.001). 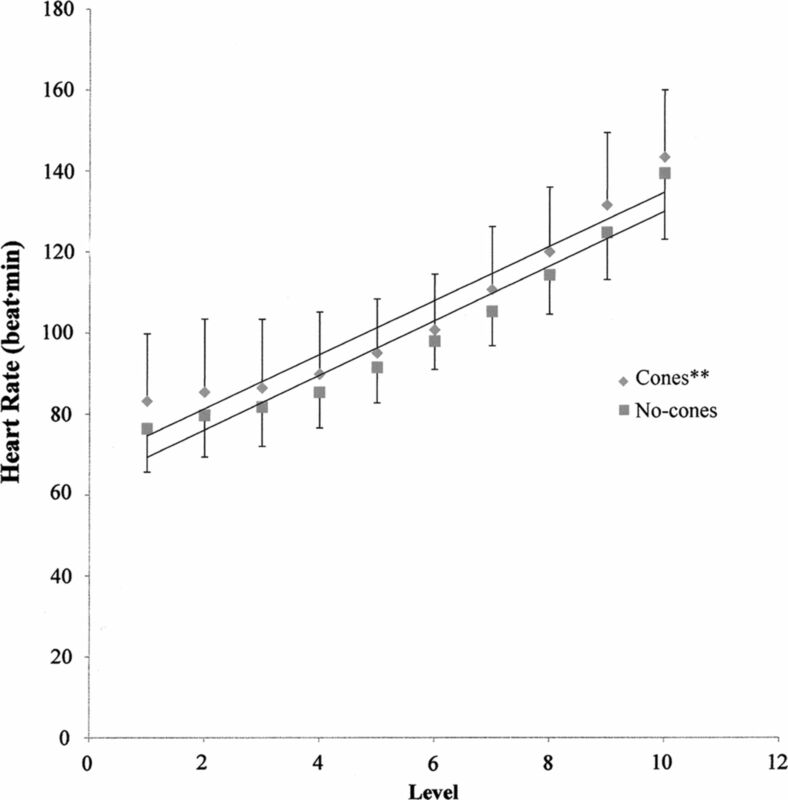 The findings therefore indicate that the no-cones version of MSWT correlates as strongly as the cones version with treadmill tests for non-cardiac participants. The next stage would obviously be to repeat this in a group of cardiac patients. Additionally, although the learning and order effect had been accounted for within this study, test–retest repeatability was not. In order for the no-cones version to be reliably employed, both these factors require to be determined in future research. In conclusion, it is clear that additional research is required before the no-cones version of MSWT can be reliably adopted. However, the findings of this study indicate that despite post-MIs finding both protocols subjectively harder than the non-cardiac controls, both groups work at a lower percentage of their AT during the no-cones protocol with no significant effect upon the VO2 peak. Therefore, in the context of CR, the no-cones protocol would allow the patient to perform MSWT with less risk of functional impairment. British Association of Cardiac Prevention and Rehabilitation (BACPR). The BACPR standards and core components for cardiovascular disease prevention and rehabilitation. 2nd edn. London: BACPR, 2012. American Association of Cardiovascular and Pulmonary Rehabilitation (AACVPR). Guidelines for cardiac rehabilitation & secondary prevention programs. 4th edn. Illinois: Human Kinetics, 2004.
. Influences of cardiorespiratory fitness levels and other predictors on cardiovascular disease mortality in men. Med Sci Sports Exerc 1998;30:899–905.
. Exercise training and cardiac remodelling in patients with reduced ventricular function: one year follow-up with magnetic resonance imaging. Am Heart J 2000;139:252–61.
. The 10 m shuttle walk test with Holter monitoring: an objective outcome measure for cardiac rehabilitation. Coron Health Care 1999;3:3–17.
. Assessment of functional capacity in cardiac rehabilitation: reproducibility of a 10-m shuttle walk test. Coron Health Care 1997;1:30–6.
. Reproducibility and validity of the incremental shuttle walking test in patients following coronary artery bypass surgery. Physiotherapy 2005;91:22–7.
. Shuttle walking test: a new approach for evaluating patients with pacemakers. Heart 1996;75:414–18.
. A comparison of the shuttle and 6 minute walking tests with measured peak oxygen consumption in patients with heart failure. JSMS 2001;4:292–300.
. Shuttle versus six-minute walk test in the prediction of outcome in chronic heart failure. 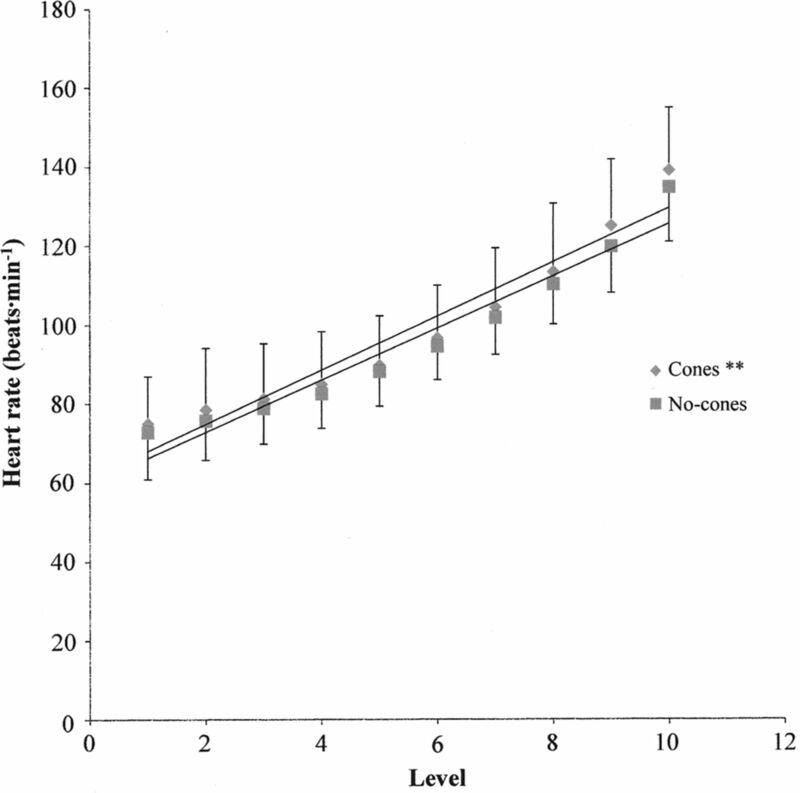 Int J Cardiol 2000;76:101–5.
. Shuttle-walk test to assess chronic heart failure. Lancet 1998;352:705.
. Metabolic equivalents during the 10-metre shuttle-walking test for post-MI patients. BJSM 2008;42:36–41.
. Intrinsic diurnal variations in cardiac metabolism and contractile function. Circ Res 2001;89:1199–208.
. Psychophysical bases of perceived exertion. Med Sci Sports Exerc 1982;14:377.
. Enhanced prognostic value from cardiopulmonary exercise testing in chronic heart failure by non-linear analysis: oxygen uptake efficiency slope. Eur Heart J 2006;27:684–90.
. Peak aerobic capacity predicts prognosis in patients with coronary heart disease. Am Heart J 2008;156:292–300. World Health Organisation (WHO). Global database on body mass index. http://apps.who.int/bmi/index.jsp?introPage=intro_3.html (accessed Nov 2012).
. Detecting the threshold of anaerobic metabolism in cardiac patients during exercise. Am J Cardiol 1964;14:844–52.
. Respiratory gas exchange indices for estimating the anerobic threshold. Sport Sci Med 2005;4:29–36.
. Anaerobic threshold in patients with exercise-induced myocardial ischemia. Circulation 1991;83:11150–3.
. Predicting oxygen uptake from treadmill testing in normal subjects and coronary artery disease patients. Am Heart J 1984;108:1454–60.
. 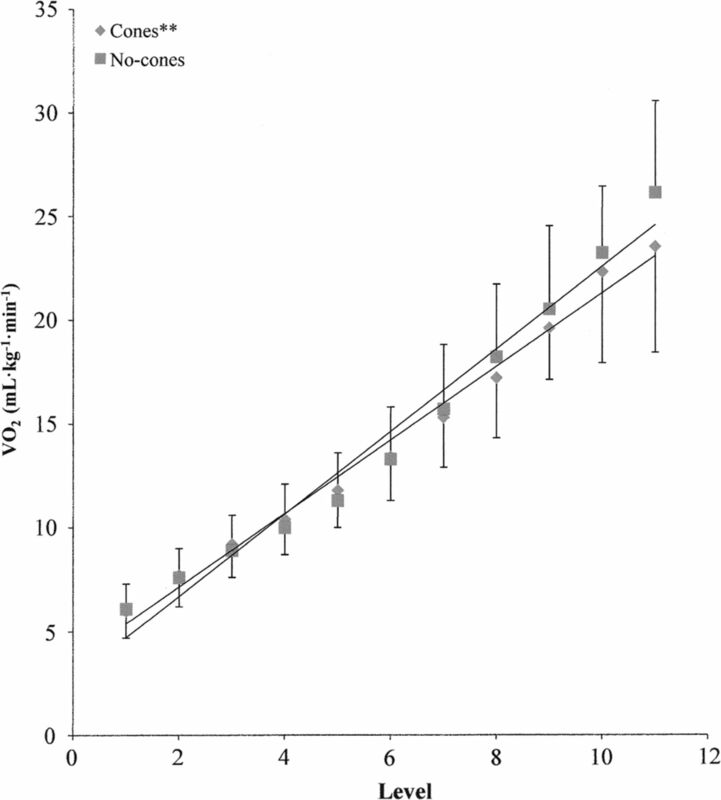 Slower adaptation of VO2 to steady state of submaximal exercise with beta-blockade. Eur J Appl Physiol 1983;52:107–10.
. Sport and exercise pharmacology. Champaign, Illinois: Human Kinetics, 2000.
. Beta blocker and fatigue. J Clin HosPharm 1984;9:283–91.
. The use of ratings of perceived exertion for exercise prescription in patients receiving β-blocker therapy. Sports Med 1996;21:176–90.
. Exercise metabolism in healthy volunteers taking celiprolol, atenolol, and placebo. BJSM 1997;31:120–5.
. Beta1-adrenoreceptors regulate resting metabolic rate. Med Sci Sports Exerc 1997;29:769–74.
. Selenoprotein synthesis and side effects of statins. Lancet 2004;363:892–4.
. The effect of atenolol and propranolol upon lipolysis. Brit J Clin Pharmacol 1978;5:123–5.
. Metabolic adaptation to exercise: a review of potential beta-adrenoceptor antagonistic effects. Am J Cardiol 1985;55:48D–58D.
. The effects of atropine and practolol on the perception of exertion during treadmill exercise. Ergonomics 1979;22:1141–6.
. Interactions between heart rate, psychomotor performance and perceived effort during physical work as influenced by beta-andrenergic blockade. Biol Psychol 1979;8:31–43.
. Effects of propranolol and metoprolol on haemodynamic and respiratory indices and on perceived exertion during exercise in hypertensive patients. Br Heart J 1979;41:99–105.
. Incremental shuttle walk test in the assessment of patients for heart transplantation. Heart 2001;86:183–7.
. A comparison of the shuttle and 6 minute walking tests with measured peak oxygen consumption in patients with heart failure. J Sci Med Sport 2001;4:292–300.
. Comparison of oxygen uptake during a conventional treadmill test and the shuttle walk test in chronic airflow limitation. Eur Resp J 1994;7:2016–20. Contributors KWM conceived the idea of the study and was responsible for the study design and gaining ethical clearance, data analysis and produced the tables and graphs. SM was responsible for data collection and provided input into the study design. KWM was the lead writer and both the authors KWM and SM were involved in report writing and approved the final manuscript. Ethics approval The Faculty of Social and Applied Science Research Ethics Committee at Canterbury Christ Church University, reference 10/SAS/045. Data sharing statement The data regarding resting oxygen uptake are available by emailing the first author.